John passed away peacefully at the Bethany Cochrane on December 26th at the age of 91. John emigrated to Canada after WWII to build a new life, landing initially in Victoria in 1951 where he worked for the CPR. The following year he relocated to Calgary to pursue an opportunity to work in his trained profession as a tailor. It was here that he met the love of his life, Agatha, with whom he would share his next 63 years. They married in 1954 and had two children, Sylvia and John. As a journeyman tailor, John’s old-world training, expertise and work ethic was in high demand in Calgary’s nascent clothing trade. He was given his start in business by Cecil Shenin at Westmount Manufacturing and quickly established himself as an invaluable partner. John took over the operation in 1965, re-branding it as Sunny South Garments. 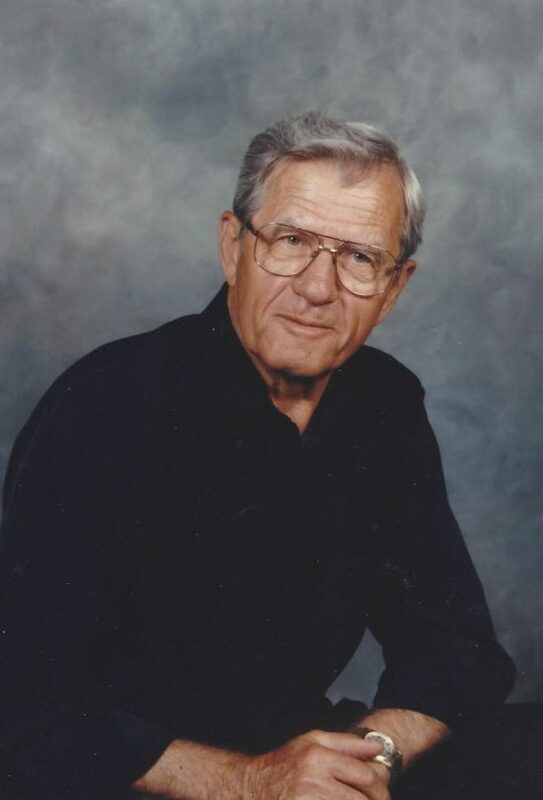 He and Agatha built the business together until their early retirement in 1980 when they moved to Kelowna. John was truly in his element in the Okanagan, growing grapes and fruit trees reminiscent of his childhood home in Yugoslavia. But as idyllic as Kelowna was, the gravitational pull of family proved stronger, and in 1991 he and Agatha returned to the Calgary area to enjoy more time with their first grandchild, Kelan – finally settling in Cochrane in 2006. John was a steadfast and loyal husband, father and friend. He will be remember fondly and missed fiercely by all who knew him. He is survived by his wife, Agatha, daughter Sylvia (and her husband Derrick), son John (and his wife Zsuzsi) and grandchildren Kelan, Teya and Dexter. We wish to express our deep gratitude to the physicians, nurses and support staff at the Bethany Cochrane, for the excellent and compassionate care John received there. A celebration of John’s life will be held at the Bethel United Reformed Church of Calgary, 730 – 101 Street SW, on Wednesday, January 3, 2017 at 1:00 pm. In lieu of flowers, memorial donations can be made to the Bethany Care Foundation – 1000, 32 Quigley Dr. Cochrane T4C 1X9. Our deepest condolences on the passing of your father. He was quite the man that endured so many hardships in the past yet made such a wonderful family with Agatha and you two as his children. Though we havent known you and John long, the Bethany environment quickly binds us as family. I will miss our visits when Dad (Frank Myra) and I would do our walks through the Units. John always had a smile and the two of you were so kind. Our thoughts are with you and your family during this difficult time of loss.